Click here to read Rev. Bevery's Bio. Laney Clevenger-White graduated in 1993 as a practitioner at SpiritWorks in Burbank CA, where she served as Children's Church Director for ten years. Laney says, "my Godling children created a wonderful teaching experience for me until I left in 2003 to continue as a practitioner at La Crescenta Center for Spiritual Living." She considers being a practitioner a lifelong profession in service to her church and her church family. Laney says, "Every day and every moment is a gift and a blessing! It is all God and it is all Good." Anthony Kelson is a certified Religious Science Practitioner living in Great Falls, Montana. He graduated from the University of Montana majoring in Religious Studies with a focus on Theology and a minor in Philosophy. While living in Los Angeles, Anthony discovered the Science of Mind. Nearly 25 years later, he finally became a Religious Science Practitioner after completing his studies at the Holmes Institute. Anthony says "it has been a grand and liberating adventure, and the joy has been immeasurable." He is affiliated with the United Centers of Spiritual Living - La Crescenta Church of Religious Science in La Crescenta, CA. Karen Partain Robison received her RScP from Mile Hi Church in 2003. She was a Youth & Family Ministry Director at Mile Hi Church in Denver, Colorado prior to moving to Texas. She and her husband, Chuck, co-authored the book, The Quantum Conspiracy, co-host an internet radio/video show interviewing spiritual teachers and scientists at www.whatifitreallyworks.com, host a monthly Kundalini Study Group as well as a monthly Fourth Sunday Gathering at their home in the Austin, Texas area. They are active members of the Institute of Noetic Sciences and Institute of Neuroscience and Consciousness Studies. 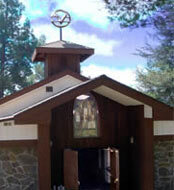 She has been in service to the La Crescenta Center for Spiritual Living as a Practitioner since 2007. Kim Winders is a remote Practitioner of Science of Mind, residing in northwest Montana. She has been practicing since 2004, and also work as an Intuitive. Kim has taught Foundation classes, classes on intuition, as well as hosting Course in Miracles. She does spiritual counseling via Skype, phone, or email. In September 1986, after listening to the radio program “There Is A Way”, Mary decided to check out a Religious Science Church. She arbitrarily chose to attend Founder's Church because their newspaper advertisement said they had a Cathedral Choir. When she came out after hearing Dr. William Hornaday speak, she said: “ I have found my spiritual home”. The next day she began classes. Four years later, after studying with Dr. William Hornaday, Dr. Carol Hatch, Dr. George Bendall, Dr. Vetura Papke and several other great RSc teachers, she became a Religious Science Practitioner. Through the years she has repeated all the classes multiple times with many other noted RSc teachers including Dr. Robert Bitzer, Dr Tom Johnson, and Rev. Marian Moon. She recently attained Emeritus status as a Practitioner. Mary is a Distinguished Toastmaster and a marketing and business consultant in the construction industry. She is available for Practitioner work by phone or by appointment. Sandra Shields has been a member of the Center for Spiritual Living La Crescenta for over 10 years. She is a former Chair of the Board of Directors (now Core Council). She is a new Practitioner (since August, 2010). Sandra is available to prayer for right outcome in all life challenges, however, she is particularly good with career transition, finding your life purpose, overcoming "artist block", grief and loss, and women's issues such as pregancy difficulty, adoption, menopause, etc.